Caroline Sinclair, one of the student paleontologists on site, helped answer this episode’s questions. 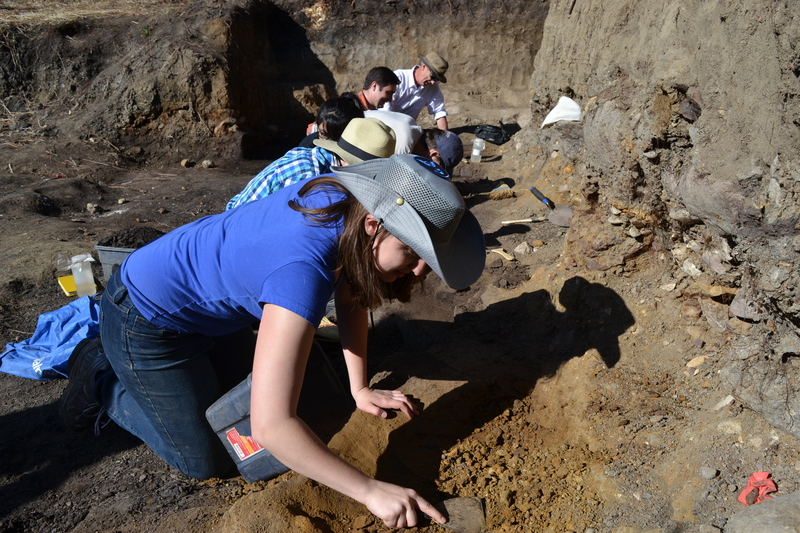 What are paleontologists digging up at Edmonton’s Danek Bonebed? We head down into the ravine to answer that question and a whole lot more questions about dinosaurs from Edmonton kids. The Danek Bonebed is an extraordinary site in Edmonton originally discovered by local sculptor and fossil enthusiast Danek Mozdzenski. It is filled with rich deposits of fossils, particularly one type of duck-billed dinosaur named Edmontosaurus regalis. Sarina Assiff wondered how many bones are in a dinosaur’s body. Ahmed Thraya asked about the relationship between Albertosaurus and Tyrannosaurus Rex. Katie LeBrun asked how many Albertosaurus skeletons have been discovered, and when the Great Dinosaur Rush ended. Kalyna Tichkowsky asked whether there were really caves that lead back to the dinosaur times, whether there was Lego in the dinosaur times, and what some of the fish were in that time. Clive Coy (left) and the students digging away at the soft soil. 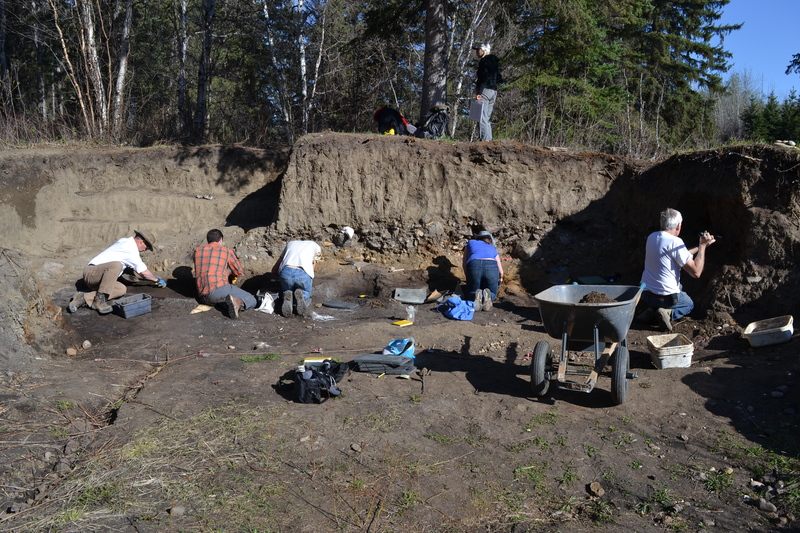 This site is the focus of a University of Alberta course called PALEO 400 – Paleontology Field School. Students come here to learn how to do real field work each year in these small quarries along Whitemud Creek. Phil Currie digging away at the quarry wall. Scraping away at the soil. The University of Alberta’s Phil Currie and Clive Coy were good enough to answer some of our questions, along with students Caroline Sinclair and Taia Wyenberg-Henzler. 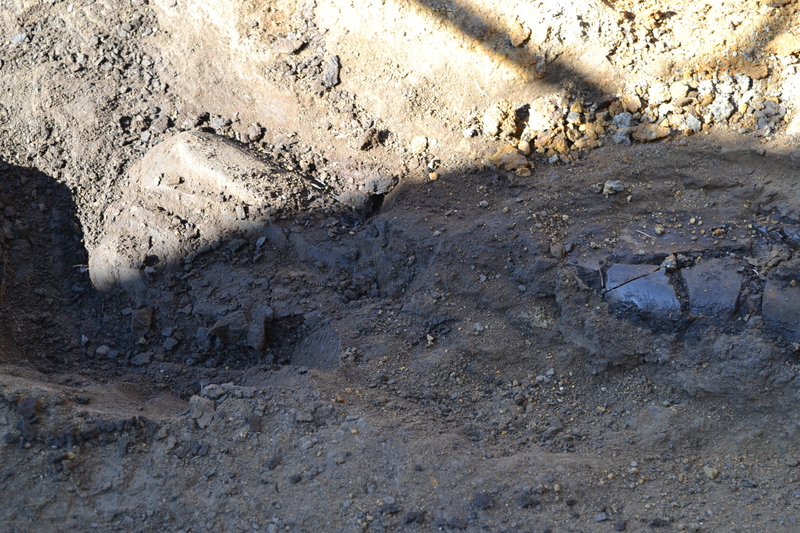 It was pretty astonishing to see this tibia fossil excavated right beside a Tyrannosaur tooth (likely an Albertosaurus). Unrelated: Registration for the June 4 Ritchie history walk.